We tend to cover the zany antics of theGoogle Street View team quite a bit here at Gizmodo, as you can see. For those of you who hate that, this story is pure Schadenfreude. 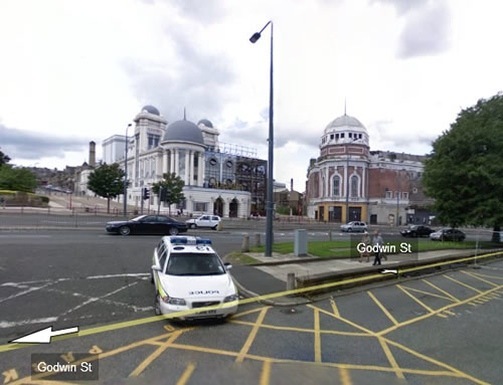 Last summer, when the team was busy mapping the streets of London for the recent European Google Maps Street View rollout, one of its speedier drivers was pulled over by Britain’s finest for a traffic violation. bwahahaha, they kept this part on street view for a while; although it seems to be blacked out currently.